SAME HAT! 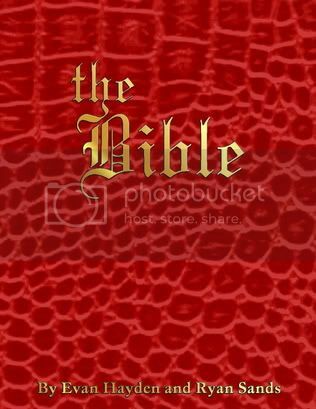 : FOR SALE: THE BIBLE! To celebrate this holiday, we're going to start selling copies of The Bible. We originally printed these up for the Alternative Press Expo, and have a bunch of copies to share! When we first put the comic online, a lot of you had asked about getting your own copy... NOW YOU CAN! 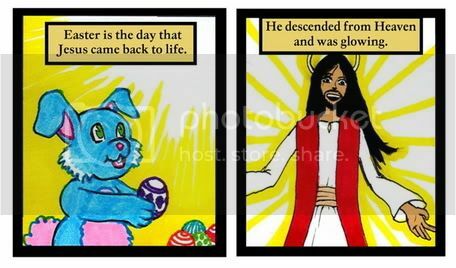 The comic is in FULL COLOR and 44 pages of catechism and Sharpie-madness bible stories! We're selling them for 5 BUCKS (4 for the booklet, 1 for shipping). Sadly, no paypal for this, but if you want one just email us at samehat @ gmail.com and we'll send you details on where to send that LINCOLN. Please include an address where we can send the book (DUH! ).